"With roots already in Toronto and Montreal, FabFind is bringing its giving ways to Vancouver with a week-long celebration of free deals. 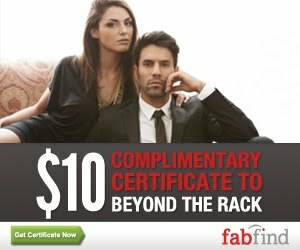 Each and every day, FabFind offers a limited quantity of heavily discounted certificates--50-100% off--to the city's best restaurants, spas, and retailers. For its launch, the deal site is offering freebies at a variety of local hotspots. "If you happen to be the type of person who likes to share a great deal, you can even register for FabFind's Save-it-Forward program (which is also free) and earn 5% of everything your friends and family members spend on the site for an entire year. 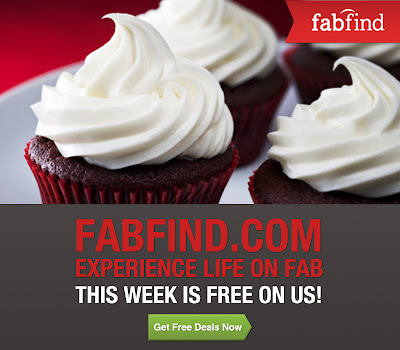 With this introductory week of freebies, FabFind will be delivering some much needed excitement to Vancouver's inboxes." Excited? You should sign up today. P.S. The free deal for today is $10 off at Beyond the Rack. Editorial note: This was a sponsored post. July issue of Vancouver Fashion eZine is out!